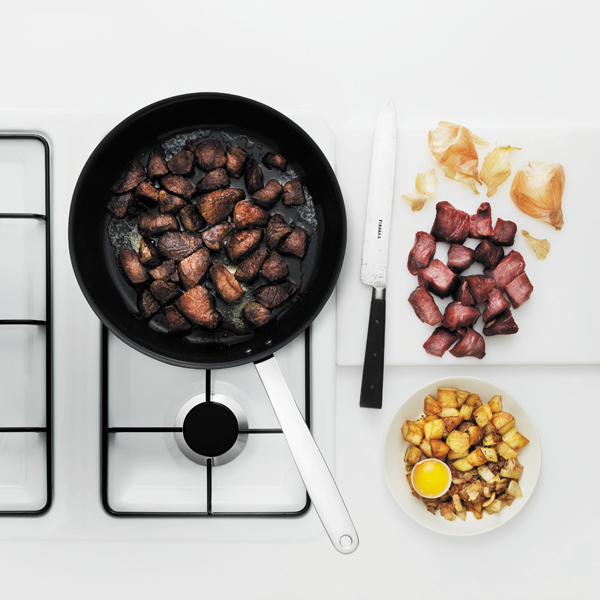 All Steel is a series of stainless steel cookware designed by Finnish Pentagon Design. The frying pans, sauté pan and wok feature a ceramic Ceratec° coating that conducts heat efficiently, guarantees excellent browning and prevents food from sticking to the pans. The casseroles and saucepan have a convenient measuring scale on the inside and a steam vent on the lid. 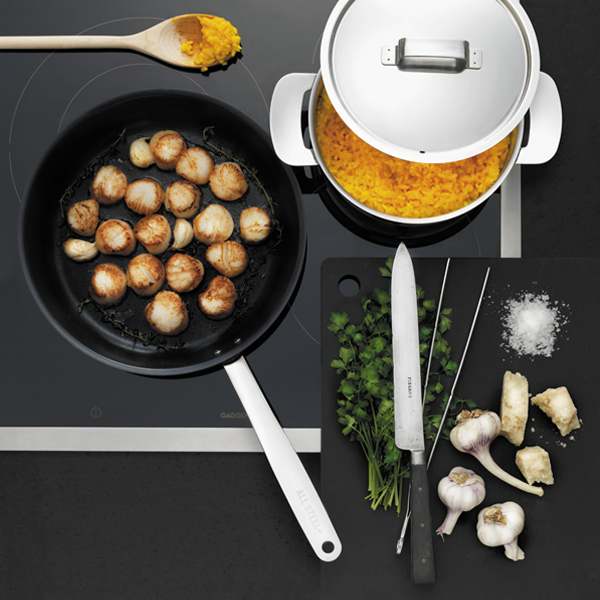 Every All Steel pan and casserole is dishwasher proof, oven proof up to 240 °C and suitable for all hobs. This high-quality series will satisfy even the most demanding domestic chef. All Steel products are manufactured in Finland. Pentagon Design is a design agency in Helsinki, Finland. It was founded in 1996 by industrial designers Arni Aromaa and Sauli Suomela. Pentagon Design has won numerous awards, including If Product Design, red dot and Design Plus awards. Aromaa and Suomela have also received the Industrial Designer of the Year 2010 award granted by Ornamo, The Finnish Association of Designers.